With eight passengers on board, an airline transport pilot was preparing for departure. The pilot knew that the weight of the passengers, their bags, and the fuel rendered the airplane overweight. However, before the flight, he did not complete a weight and balance form or determine the expected takeoff performance. The pilot proceeded with the takeoff roll, but the airplane did not accelerate as the pilot expected. As he pulled back the yoke, the stall warning sounded. The pilot lowered the nose and—attempting to avoid an instrument landing system antenna—veered right. The maneuver failed. With the left wing catching the antenna, the left main landing gear and nose gear collapsed. The airplane skidded to a stop a few football fields’ length from the end of the runway. After the accident, the pilot determined that the airplane was 623 lbs. over its maximum gross takeoff weight. The probable cause of the accident was determined to be the failure of the passengers to maintain a reasonable weight of luggage. Well, not exactly. Apart from the last sentence, the above scenario is based on an accident report from 2016. In its report, the National Transportation Safety Board (NTSB) determines the actual, probable cause of the accident: “The pilot’s inadequate preflight planning, his decision to take off knowing the airplane was over its gross takeoff weight, and his failure to abort the takeoff after he realized that the airplane was not accelerating as expected, which resulted in a runway excursion.” Oddly enough, after receiving his trip sheet the day before the flight, the pilot reported that he was “concerned about taking eight passengers with their luggage and how much fuel he could put on the airplane before the flight.” It begs the question: why did he go? It’s easy to cast judgment, but most pilots have been susceptible to influences that deviate from procedure or personal minimums. Your significant other is eager to get to the resort, and the wind gusts don’t seem that bad. You’re uncomfortable flying VFR at night and don’t have your instrument rating, but your friends remind you that it’s only 30 minutes of night flying to make the concert. You’re the last hope for your passengers to make the tournament on time, and their golf clubs bring you just slightly overweight. Your passengers ask for a better view to take photos and a brief, low pass shouldn’t bring you too close to the trees. Outside the cockpit, these impulses are understandable. In it, they can be the difference between pilots keeping and losing their wings. At worst, they can be the difference between life and death. That’s why, with your flight planning and procedures, it’s okay to be a little self-absorbed. Now, to entertain the premise that self-absorption can be good, it’s important to define “self-absorption.” I’m defining a self-absorbed aviator as one who is “preoccupied with his/her own thoughts and interests.” While, in this context, self-absorbed and pompous are not mutually exclusive, I’m not advocating for the latter. We’ve all talked to that person at an air show and searched for an excuse to do anything else. Think of the self-absorbed aviator as a franchise basketball player. If the player is well-coached, then being preoccupied with his/her own thoughts and interests shouldn’t preclude him/her from making decisions that are best for the team too. Great coaching articulates how following the game plan makes everyone look good. Great flight training does the same. So, in this context, self-absorption only means that a person wants to be the one making decisions within the plan (Note: When crew resource management is relevant, this distinction is especially important). It’s a player who wants the ball in his/her hand at the end of the game, no matter whether he/she decides to pass or shoot. It’s a pilot who understands the meaning of “Pilot in Command.” Because, even when a teammate missed the last second shot, Michael Jordan still shouldered the blame of the sports media. And, even when a passenger overpacks, the pilot still shoulders the blame of the NTSB. When you must take ownership, you also must be a little self-absorbed. In aviation, that starts on day one. If you’re 18-years-old, why would you want to devote thousands of hours and dollars to learn the art of flying something that’s learning to fly itself? It’s simple. Lifting yourself off the ground and piloting a big, metal tube through the sky is awesome. What a way to spend an afternoon. That said, a basic Google search can unearth reasons why flight training might not be in your best interest. Your self-interest has to outweigh those. You must have designs on the open sky and confidence that your training will be a worthwhile investment. Otherwise, even if you start training, you’ll never finish. At the stroke of five o’clock, air conditioning and Netflix sound a lot more appealing than exhausting your mind up thousands of feet in the air. 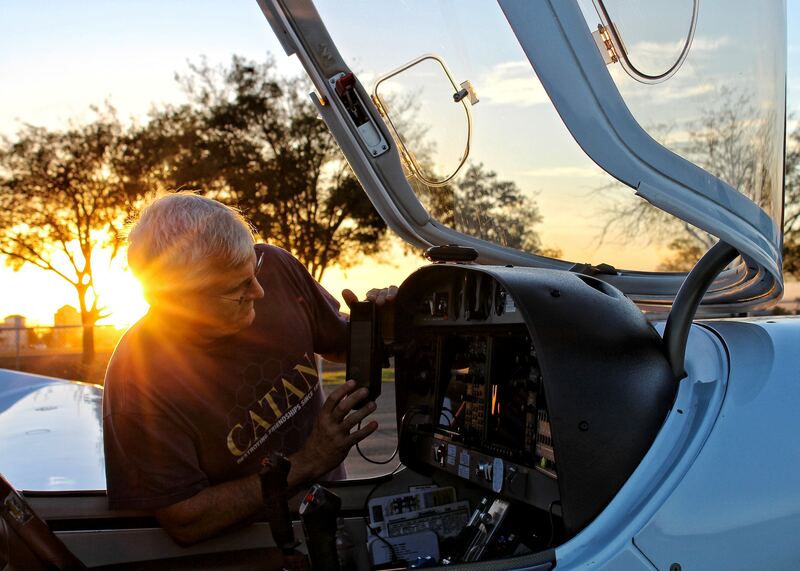 The reason flight training is challenging is the same reason it’s effective: information is drilled into the student’s mind over and over again. It’s exhausting; it’s frustrating; it breeds confidence and proficiency. Therefore, it justifies self-absorption. The student-pilot is demanded of before he/she commands the aircraft. It’s like how a jazz drummer toils over timekeeping long before he/she ever leads a quartet. Drummers earn their way into that position through dedication, long hours, and attention to the minute details of their craft. Plenty of people love jazz and can speak intelligently about it. However, a drummer doesn't tune out his/her own playing to assess audience feedback. The set would fall apart, which benefits no one. So, why do some pilots feel obligated to entertain all the ideas of their passengers? 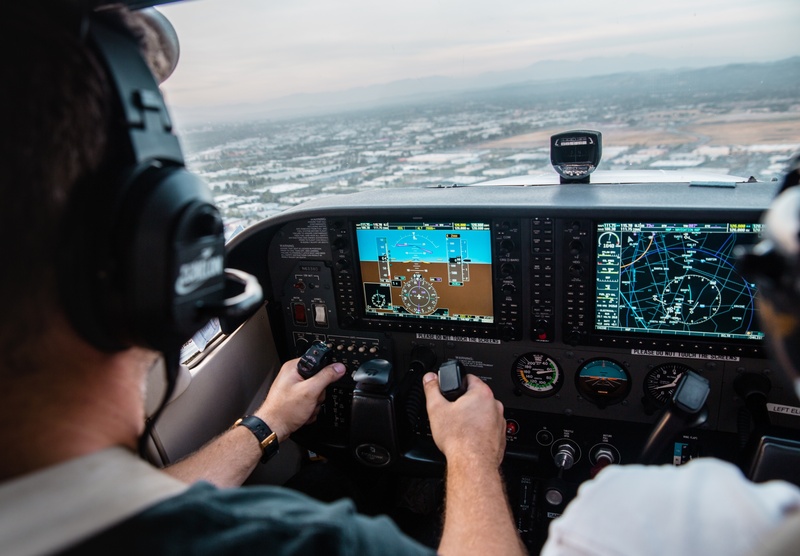 Flying an aircraft is a performance too, and the pilot must be able to tune out passengers to the extent that he/she maintains the “timekeeping” of the aircraft. Every pilot does that during emergency procedures. In crunch time, it’s natural to tune out everything but situational awareness, procedure, and aeronautical decision-making. You don’t often hear of pilots taking a passenger poll during an aborted takeoff. However, emergency prevention is a different story. When an imminent threat isn’t perceived or evaluated, not every pilot adheres to minimums and correct procedure. Unfortunately, this leaves pilots vulnerable to common causes of accidents: thunderstorms, fuel exhaustion, VFR flight into IMC, low altitude operations, and loss of control. Everyone on a flight wants to arrive safely at their destination, but only the pilot(s) knows what’s necessary to accomplish that. So, for everyone’s sake, while you’re in the cockpit, be a little self-absorbed. It’s how you become a pilot and a great one at that.